Yoga in Common is a unique yoga studio at the Market Common in Myrtle Beach. I don’t know much about yoga studios, but I do know that when you step into this place, you feel lighter, peaceful, loved, even if it’s your first time there. I met Linda Phillips, the owner, at an art show about 2 years ago, where she came up to me, commented on my work, and told me that I should come check out her soon to be yoga studio. I decided to take her up on that invitation and I’ve been one of her ‘Tique(the studio’s gift store) artists ever since! Every couple months, I’ll drop in and bring them new work, switch out items, or just say hi and I’m greeted with the warmest welcome. If you’re a thinker, like me, you’ll understand why clearing your head is a blessing and how rarely it happens, if ever. Sadly, I haven’t had the chance to take many more classes, but I’m going to try harder to incorporate it into my routine. For me, yoga seemed to go hand in hand with prayer and meditation, a full body experience, and an opportunity to open my mind and listen more intently. Just thought you should know about this “not so common” yoga studio and it’s wonderful presence in our community. They really do have diverse class offerings and an earthy and eclectic selection in their ‘Tique! 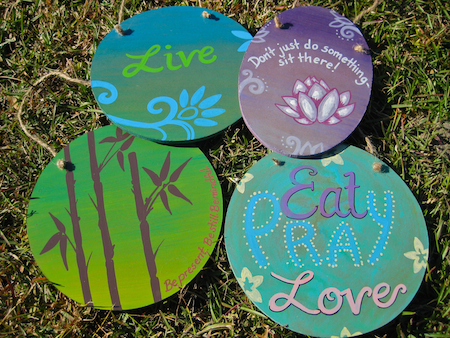 Check them out on Facebook, as well! Oh yeah, you should also check out The Yoga Bus, owned and operated by Angel Grant, one of Yoga in Common’s yoga instructors. She is going to be traveling around the U.S. and spreading the healing powers of yoga to anyone interested. Focusing on those who might not otherwise be exposed to it, she will make her first stop at a shelter home in Oregon! Follow her adventures on her website or Facebook! 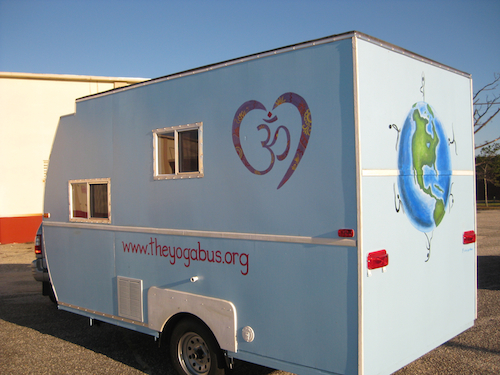 The Yoga Bus - ready for the road!